P.O. Box 742 - stay at the beautiful Martha's Vineyard Resort in Oak Bluffs while generations have come and gone, the Islands storybook quality has not been lost to change. The summer flowers and autumn sunsets are as brilliant as ever. Each bedroom is fully carpeted with its own private bath, cable TV, a refrigerated beverage center, private telephone with answering service and free WiFi connection. 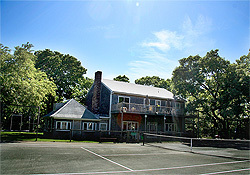 Martha's Vineyard Resort guests are granted the benefits of free parking, use of the tennis courts, and not to forget, our wonderful continental breakfast that is served each morning. 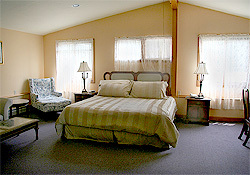 Click Web Site Below for details, beautiful photos and reservations. Visit Martha's Vineyard Resort where you will relax in one of our king, queen or full size air conditioned bedrooms or two bedroom suites with kitchen. Our rooms come with extra privileges. Just ask. We are only seven miles off the Massachusetts coast. Another world awaits you on the Vineyard. 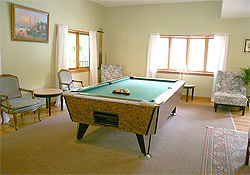 Beaches, sailing, biking, golfing, fishing or walking through the wildlife refuge are here for you enjoyment. 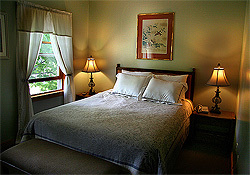 Martha's Vineyard Resort retains the best of all the qualities you would expect in a resort: Service, Hospitality, History and Atmosphere. Laughter and gaiety with friends, the thrill of kicking up your heels on the dance floor, the feeling of losing yourself in a quality theatrical production or our great New England cuisine is here for you while you visit Martha's Vineyard Resort, Our large lobby has a big screen TV with cable, movie library, VCR or try your skills on our regulation size billiards table. We look forward to you visit. Reserve Now.